The Middle East continues to be of major geostrategic importance. Global powers found, in recent developments, an opportunity to chart their way into the region; sending troops and reinforcements, rebuilding alliances and restoring old relations. Amidst this chaotic environment, a number of regional forces opted to adopt a different approach: soft power. It is obvious that such forces have found in soft power an efficient tool that can achieve what tanks and jets failed to do. In this article, four soft power models in the Middle East are assessed and analysed: Iran and Oman. Nye (2004, 5) finds that the crux of soft power is shaping the preferences of others, yet resources (either culture or laws or institutions) are significant in determining the effectiveness of soft power. The resources that produce soft power come chiefly from the values an actor (either an organization or a state) expresses in its culture (that can be transmitted through various means including commerce, tourism, personal contacts, visits, and exchanges). Throughout his book, Nye tries to demonstrate the various means of soft power, including public diplomacy, speeches, state branding, drama and TV shows, movies, education (universities, books, and scholarships), scientific centres, culture and notions (globalization and democracy), sport and Olympics, food, music, immigration, Nobel Prizes, Internet, video games, NGOs, Brands (cars and electronics), peace keeping missions, assistance to poor and developing countries (Nye 2004, 8-13). Nevertheless, the influence of soft power remains fragile and subject to distraction. Instability, chaos and wars are among various conditions that undermine the effects of soft power. The second pillar is political values. Iran introduced a unique political model that stems from Iran’s hybrid political system which adopts the concept of “religious democracy”. 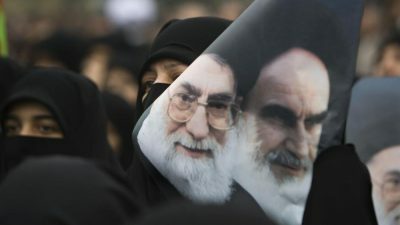 As a unique model of its kind and source of Iranian soft power, this model constitutes a substitute for traditional systems and is considered an appealing model for religious Muslims. The third pillar is foreign policy which is the largest source of soft power. The Iranian Constitution refers clearly to the role of foreign policy which is based on “Islamic” values, fraternal commitment to all Muslims and full protection of the oppressed around the world. These offerings, along with the Iranian propositions on revolutionary and religious principles, are considered the bases of Iran’s soft power (Bakeer 2013). In light of the aforesaid facts, Iran, thus far, adopted an ever-widening array of instruments to bolster its soft power and build alliances and partnerships throughout the Muslim and Arab Worlds. Shiism became a palpable policy and Iran has been targeting Shiites in many countries around the world, through media campaigns, establishing cultural and religious centres, financially supporting Shiite minorities and recently politically and militarily assisting Shiite communities with the aim of strengthening their role and influence within their societies (for example Huthis in Yemen and Hezbollah in Lebanon). Taking advantage of the widespread regional dismay from US policies, anti-America rhetoric became part of Iran’s official speeches. This was deemed vital state branding tools that would promote Iran’s status as a regional leader in face of foreign “hegemony”. As a result, Iran was able to form a network of regional allies under the name of “resistance axis”. Similar to other Middle Easter leaders, Iran used as well pro-Palestine slogans to gain popularity among Arab masses. Iran also tries to expand its influence through trade and investment. For instance, Iran cooperates with Turkey and Malaysia to design and manufacture cars for Islamic markets and its state-owned Khodro Company emerged as the largest car manufacturer in the region exporting over one million cars, trucks and buses to over 30 countries in 2007 (Chorinm and Malka 2008). Finally, the nuclear deal gave Iran’s soft power another boost, especially that it was able to avoid war, lift the sanctions and evade any bargaining on other files (e.g. Hamas, Hezbollah, the Syrian regime). In the midst of regional critical developments, Oman appears as a peaceful oasis that rests aloof from enticements. This reality comes as a result of Oman’s entrenched set of qualities, beliefs and values that prioritize peace. For Oman, Soft power means peace. Oman’s soft power counts basically on two basic foundations; peace-making and state-branding. These are naturally interlocked and Oman was adept enough in realizing noteworthy results thanks to stability. In other words, stability is a crucial element in this equation and this encompasses both domestic and foreign (mainly regional) stability (Choe 2012). In this respect, Oman played a valuable role in narrowing differences between various parties in dispute. When the other Gulf States opposed the US-Iran deal, Oman didn’t only support it but it also hosted the secret talks between the two governments. Oman’s neutral position gave the country a unique advantage of being a mediator in international issues. It played an instrumental role in freeing three American hikers arrested by Iran on espionage charges in 2011 (Gupta 2015). This position made Sultan Qaboos succeed in maintaining the trust and confidence of both the Americans and the Iranians and bringing them across the table behind closed curtains. One must concede then that the conclusion of the nuclear deal revealed an unforeseen Omani role. 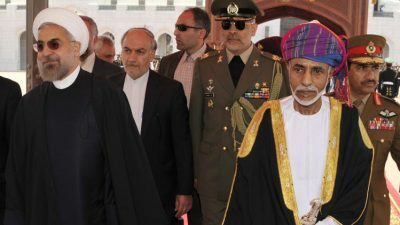 Not limited to the Yemeni debacle, Oman has leveraged its neutrality to develop trustworthy relationships with all sides in the Syrian crisis, enabling the sultanate to serve as an acceptable mediator that no other Arab or Gulf country could. When almost every Arab and Gulf country boycotted and attacked Assad, Oman maintained its relations with the Syrian regime. In August 2015 Syria’s foreign minister met his counterpart in Muscat and in October in the same year the Omani foreign minister Yusuf bin Alawi had met with Assad in Damascus (Cafiero 2016). In the same year, the sultanate mediated in Algeria in order to help containing an unannounced sectarian crisis between Ibadi Amazigh and some Arabs associated with the Maliki School (see Noon Post Editorial 2015). A comparative analysis of the aforementioned models was deemed necessary to highlight another form of competition in the region: soft power. The employment of each model depends on certain tools and carries different goals. On the one hand, Iran’s soft power model lies chiefly on ethnic and revolutionary values and reflects expansionist objectives. On the other hand, Oman utilized low-profile soft power tools and strategy at the aim of maintaining its status as a neutral actor and evade the effects of prevalent regional polarization. Thus far, Oman’s quiet approach paid off and produced Oman with coveted results. The Iranian soft power model has been successful as well in attracting sympathizers, supporters and allies. However, Iran’s model rests on values that intertwine with other ideals that can be a source of conflicts and hence can easily be transformed into hard power. In a nutshell, one may argue that Iran’s soft power can be another source of regional instability when Oman’s soft power seeks stability and a peaceful resolution of conflicts. Dr Fadi Elhusseini is a political Counsellor and an advisory board member of the New Arab Foundation. He is a commissioning editor at e-International Relations and he is an Associate Research Fellow (ESRC) at the Institute for Middle East Studies- Canada. Elhusseini holds a PhD in International Relations from the University of Sunderland in Britain. 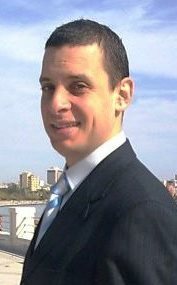 He received his Master’s degree in International Commercial Laws and Policies from Italy and earned his Bachelor’s degree in Economics and Political Science from Egypt. He contributed with one chapter in a book entitled The Turkish Foreign Policy in the New Millennium and published a number of academic articles and papers. Elhusseini is a contributing writer for a number of magazines and journals and his articles appeared in scores of newspapers in English, French, Arabic and Italian. Bakeer, A. (2013). Ektishaf al-kuwat al-Naema al-Irania: al-Kudorat W Hodod al-Taatheer [Discovering Iran’s soft power: Capacity and limits of influence]. [online] Aljazeera Centre for Studies. Cafiero, G. (2016). Oman, Stuck between Saudi Arabia and Iran. [online] Al-Monitor. Choe, J. (2012). Oman’s soft power and national brand. [online] Times of Oman. Chorinm E. and Malka, H. (2008). Iran’s Soft Power Creates Hard Realities. [online] Centre for Strategic and International Studies. Gupta, S. (2015). Oman: The Unsung Hero of the Iranian Nuclear Deal. [online] International Policy Digest. Noon Post Editorial. (2015). Fy Mohawalat Fahm al-Dawr al-hakeeky Lesaltanat Oman fel Manteka [An Attempt to understand the real role of the Sultanate of Oman in the region]. [online] Noon Post. Oman Observer. (2014). Experts commend Oman’s role in trilateral talks. [online] Oman Observer. Wheeldon, T. (2014). Oman’s Precarious Future. [online]. Cambridge Globalist. Very powerful piece of writing??? ?